As cyber threats become more intesifying, it is essential to improve your cybersecurity measure to ensure safe browsing and other online activities. One of the most significant measure to protect your privacy is connecting to a virtual private network (VPN). VPN allows you to create a secure tunnel to cover your original IP address while surfing the internet. VPN is getting popular since it greatly enhances security level when people start to involve in more private online activities such as online banking and online shopping where personal information can be disclosed at a certain risk. VPN provides a way to manipulate the IP address which seems it is from another country or location which increase privacy. VPN comes in convenient when using public free WiFi service that the wifi is not secured and expose to the public where information can be easily retrieved by eavesdroppers. Public wifi provides no encrpytion that activity logs, browsing history or even password can be monitored and stolen. VPN helps illuminate this issue that all traffic going through VPN will be encrypted and no logging will be used which leaves no trace to intruders. However, most of the reliable VPN services available in the market are paid services. It is actaully a good idea to set up your own VPNserver on your home router that saves budget and can remote manage your devices. You have full control on your data traffic flow which does not rely on other company. Remote management of devices can be enabled over VPN which allows user to access company assets and monitor network remotely. To setup a VPN server on a home router may not be an easy task. 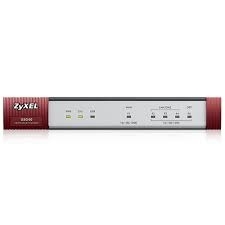 It requries high bandwidth and stable connection to handle the VPN traffic, powerful router to compute and route the network and possibly a custom firmware on the router. 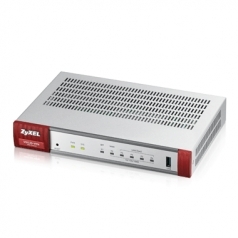 We provide a wide range of products capable of serving as VPN server router that offers stable and secure VPN tunnel. It can be efficiently deployed in home use environment and small-and-median business settings. Configuration file and setup guide are available for reference upon request.